1942 – Got up at 6 O’clock Dad worked. I walked Down Town No Mail went To Bed early suppose to be Blackout. 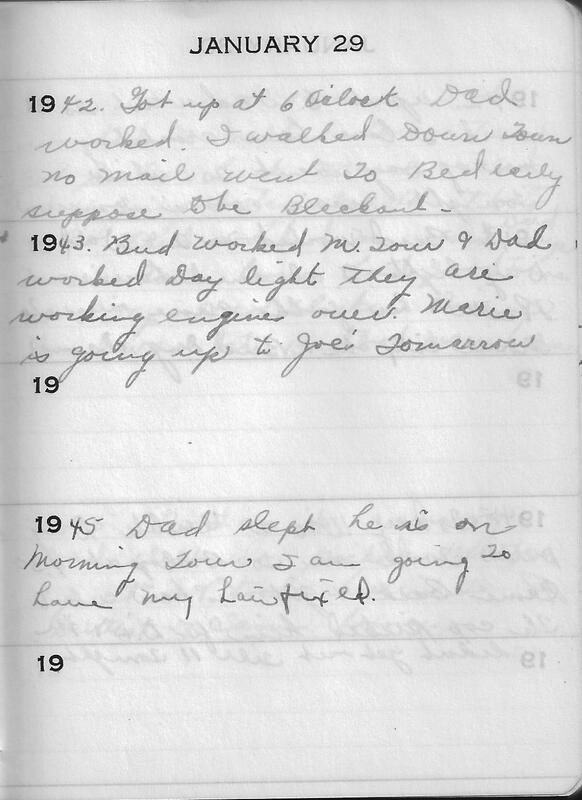 1945 – Dad Slept he is on Morning Tour I am going To have my hair fixed.